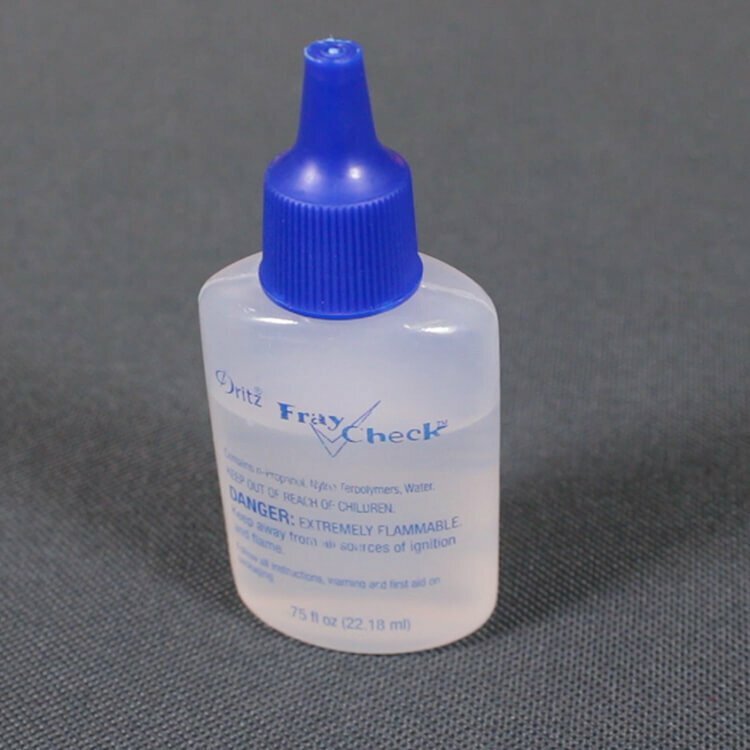 Dritz Fray Check is a seam sealant that prevents fabric from fraying by securing the thread ends. It dries clear and will not discolor or stain fabrics. It is also washable and dry cleanable. To apply, gently squirt the fray check along the edge of the fabric. Let it sit for 5 to 10 minutes for drying. Trim off the excess threads. Find Dritz Fray Check Here. Can you sew over fray check with a sewing machine?? Can you use fray check on a crochet project? I am using 100% cotton yarn and need to install 8 grommets. The patterns does not have holes for the grommets crocheted into the bag. I an making the "Nautical Hobo Bag"
BEST ANSWER: I'm not sure if this product is strong enough to hold the yarn together. I would think you would have to stabilize it before cutting or else it would unravel. It might work to use a tight zigzag stitch on a sewing machine around the area you want to cut and then cut just inside the stitches. The Fray Check could then be used to provide extra strength on the edges. Can you use fray check to repair the v on a v neck cashmere sweater? BEST ANSWER: We believe this would work but suggest testing it on the inside of the fabric first. Can I iron fabric after I have used fray check? Can I use fray check on fabric before cutting out the shape, please? I am making bunting and do not want to sew it? How do I use on applique when I am using heat and bond?